Spoiler: this is the final result. 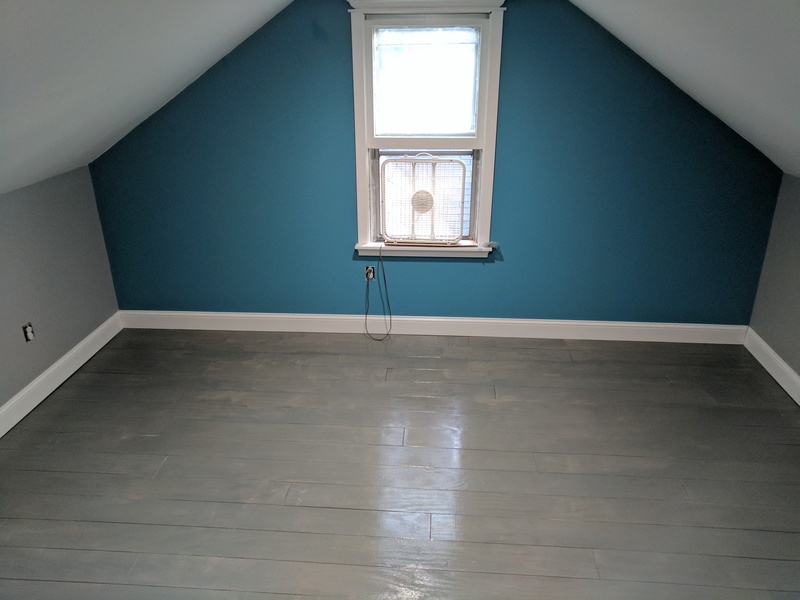 I needed a new floor for a bedroom that was being remodeled, I looked at every possible solution. Carpet, laminate, tile, hardwood, vinyl, even pennies. I had noticed a few folks using plywood, specifically cutting it down to planks. Jenny had the best guide that fit with what I was trying to do. After thinking more about this, and considering the room I needed the floor in is a kid’s bedroom, 2nd story, not perfectly level – it would be a great spot to try and make a plywood plank floor. I’m not going for a natural wood finish, I wanted something gray – with a bit of wood grain. Wget has been around forever it seems, but is still get great tool for spidering or downloading content (all content) from a website to your local machine. Below are some simple steps to install Wget and to run it. Visit http://gnuwin32.sourceforge.net/packages/wget.htm and download the setup file, labeled “Complete package, except sources”. Run the setup .exe and leave everything as defaults. In that folder, you should soon files from the site Wget copied. I’ve only had issues with a site that I had forced to use SSL. Wget didn’t like that. Many times I want a particular date format but can’t remember which style it is. Below is a list of the styles and examples of how it will display. I don’t know if there are any additional Styles, if you know of any, comment and I can add them.